Pinterest is an amazing tool both for personal use, and of course, for growing your social media presence. Here are some simple tips to help you grow your followers on Pinterest. Using simple descriptive terms for your board names is best. My most popular board is titled “Garden”. When people search for garden ideas, chances are they use the word garden first (such as garden gnome, garden plan, etc), so my board is more likely to pop up in the search result because of it’s title. Did you notice a mistake in the above photo? The category for the board says “Home Decor”. It should say “Holidays”. Make sure that you choose the right category for your boards. Some boards might not have a category that fits perfectly, so you will need to choose “other”. If you pin often you will have noticed that many photos lack a description. Some photos come in with just the image file name. You need to take a moment and put a description in that box! Say what it is about the photo you like, put the name of the recipe, anything that will help the pin be more searchable. This isn’t just helpful for growing your following though, this is helpful for when you go back through your pins too. Having good descriptions will help you (and others) know why the pin is helpful. Look at your boards, are some of them redundant? I found that I had some that could be condensed into each other. 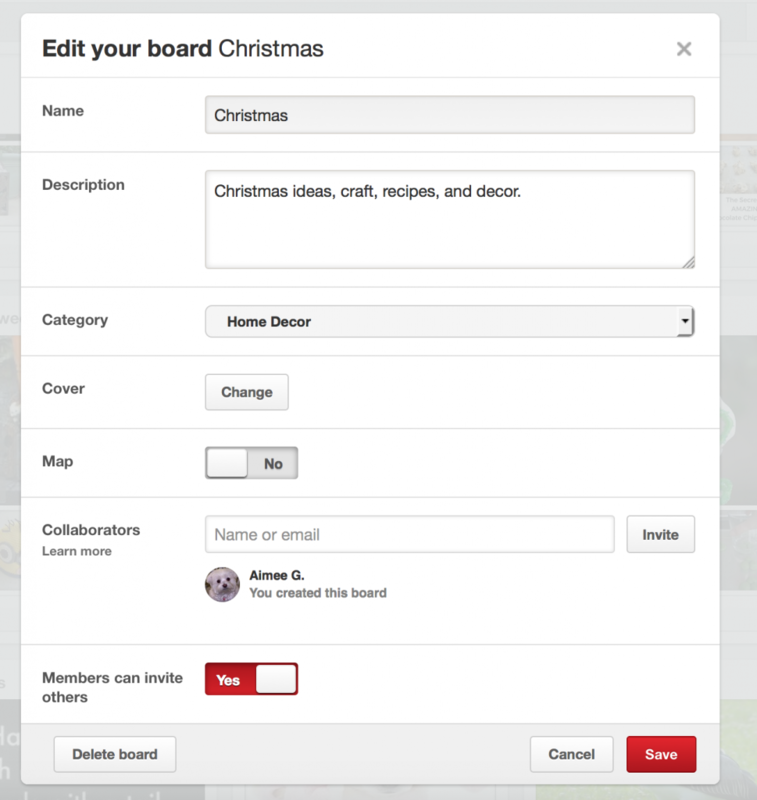 For example, I had a board that was called “Holidays”. I also have boards called “Christmas”, “Halloween”, and “Easter”. Having a board that was generic didn’t make sense, so I removed the Holidays board, I did keep those pins however. 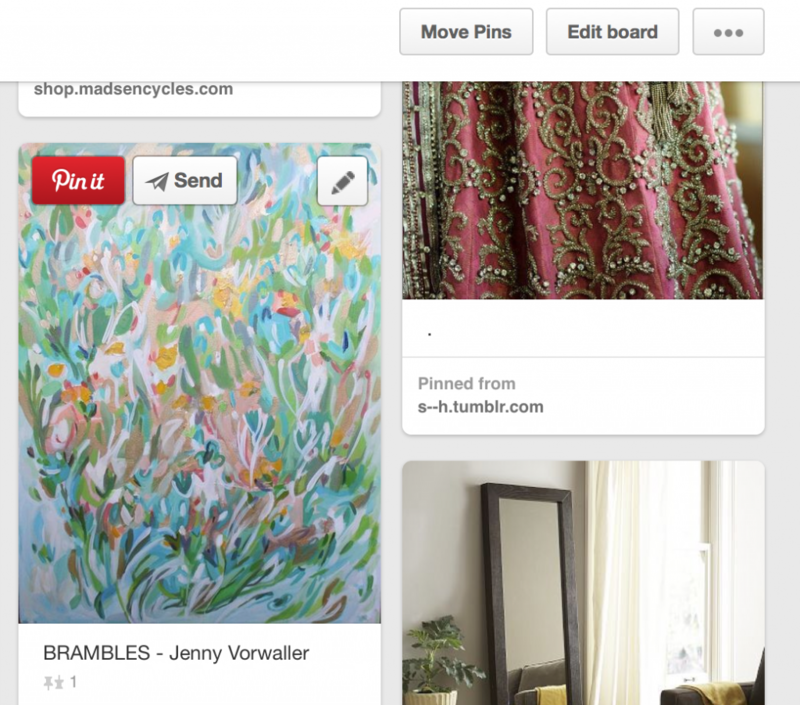 Pinterest has a very nice feature where you can easily move pins from one board to another. When you are in the board you want to delete, notice the upper right hand corner. Click the move button, you will then be prompted to select the pins you want to move. Once you have selected the pins you wish to move, click the move button again (it will be red this time). A pop up will appear for you to select the board you want to move the pins to. This way you don’t lose quality pins when you delete unused or redundant boards. One last tip, when you are cleaning up your pins be sure to keep the quality pins and discard the rest. What makes a pin worth keeping? It has repins, it links to the original source, and it’s one you really like. I put that last qualifier in there because although using Pinterest is important for social media, it also has other uses. If you really love an idea or pin and it doesn’t have repins, keep it anyway. If you want to follow me on Pinterest you can find me here. And if you have any other tips to add be sure to let me know in the comments below. Thanks for reading, I hope these tips help you. Great tips thanks – I think I was making a few mistakes you highlighted. I will do some cleaning tomorrow.